We were really excited to test this pill because of its unique “capsule in a capsule” formulation. Manufactured and designed by the Valensa company based in Florida, who seem to distinguish themselves from other companies with their technology and potency claims. Dr. Rudi Moerck, the CEO of Valensa has a Ph.D in organic chemistry from the University of Florida and did postdoc work in organic chemistry at Ohio State University, spoke about Prostate 360 in an online video, “Capsule in capsule technology and contains the most potent ingredients available today for prostate health.” While the technology is very innovative, it missed the point because this product is all about saw palmetto. Just look at the lab scores below. It only has a measly 2.31 mg of sterols and not even 1 mg of Beta-sitosterol. So think about that. 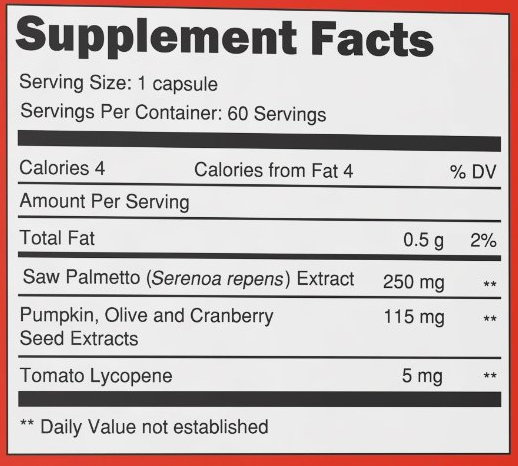 Here is a saw palmetto product extracted and produced to the highest level it can, with capsule within a capsule technology and yet it barely recorded any sterols.